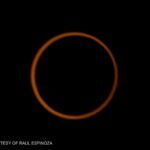 The Annular Eclipse of May 20th, 2012 was visible from most of the western U.S. As promised, here’s my time-lapse video of that eclipse. 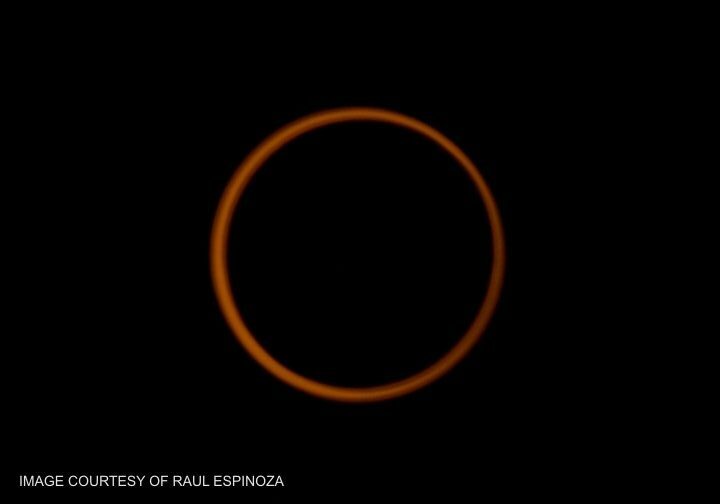 It was partial and not annular from my location in New River, AZ. If you need a clarification of those terms, see my May 14 Sky Lights. 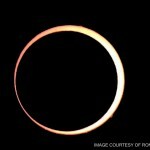 I would have needed to travel over 100 miles north to see the annular phase. My video captures the progression of that eclipse from just before first contact, when the Moon first “touches” the Sun, through maximum partiality, which was about 83% coverage as seen from here. The sky dimmed noticeably at that point, and took on a strange off-blue hue. There were six wildfires burning in Arizona on that day, and you could see smoke haze in the air, and that also contributed to the unusual sky color. The Sun and Moon set behind some mountains to the west before the eclipse was over, but observers even farther west got to see the entire event. 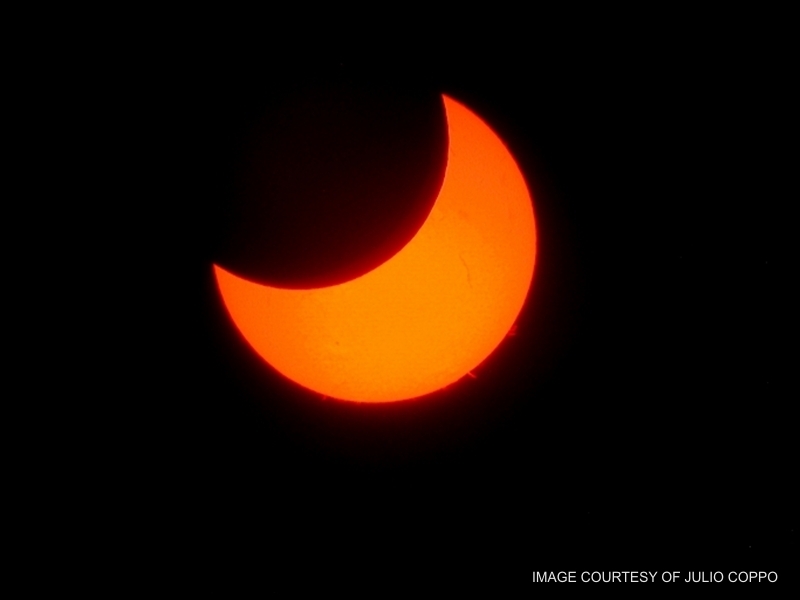 If you read my May 14 Sky Lights, you know that, during an eclipse, it’s the Sun catching up to (and slipping behind) the Moon. I could have animated the time-lapse to show that, but decided to keep the Sun motionless and let the Moon move relative to the Sun. That was a purely aesthetic choice. I tried it both ways and this just looked nicer. 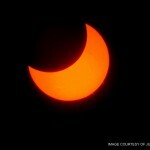 One friend, and several members of our astronomy club, also captured the event in photos. A few traveled far enough north to experience full annularity. The thumbnails below showcase some of those images. Click on them to enlarge. Even though these are “scientific” images, you can see that each photographer made aesthetic choices about how to compose their work. 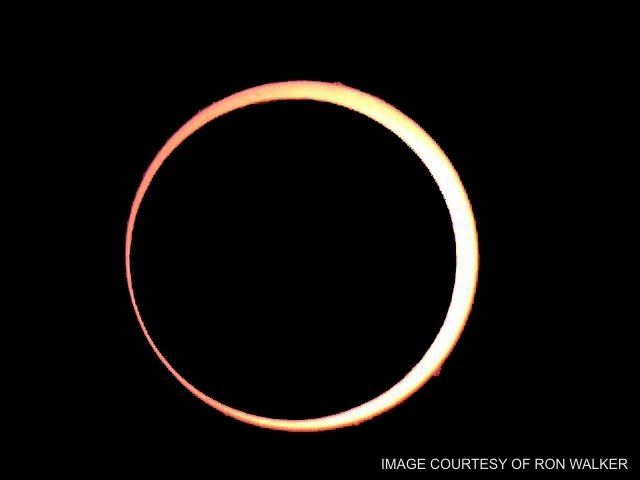 If you do a Google search for “May 20 eclipse” you’ll find thousands of images (and videos), each of them unique. There is some room for art in science. 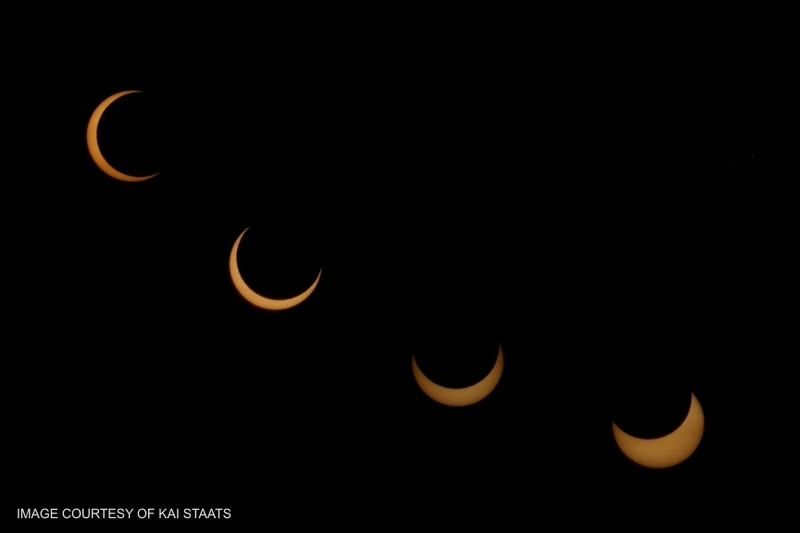 Speaking of art, I collaborated with Kai Staats (who did the montage in that fourth thumbnail) to produce a “music video” of this eclipse using his video with some of my still images. He did most of the work. I think you’ll enjoy it. Be sure your sound is on, then watch it here. Note how Kai chose to put both Sun and Moon in motion as the two were setting in the west. 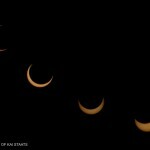 This captured the true (visual) appearance of last Sunday’s eclipse.